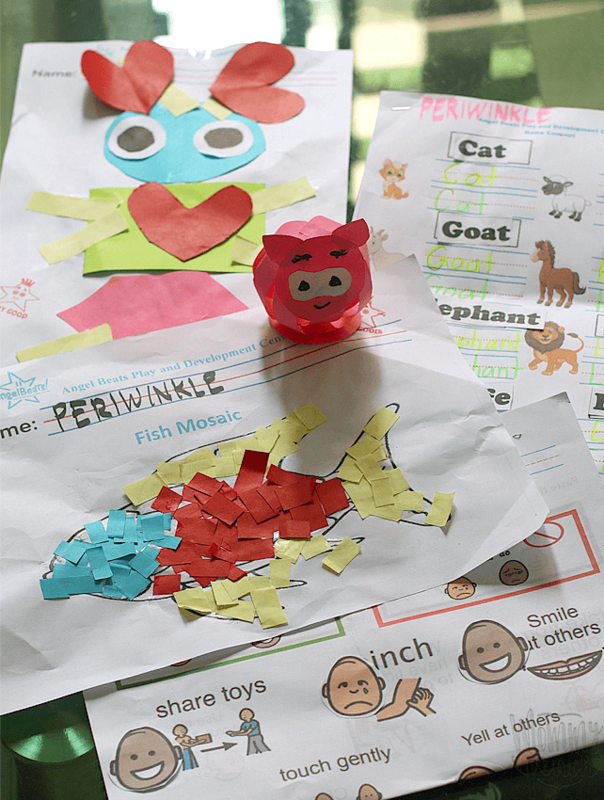 You might be wondering how Twinkle’s schooling is doing. Well, let me share with you an update, pati na rin ng OOTDs (courtesy of nanay Pinky, of course). 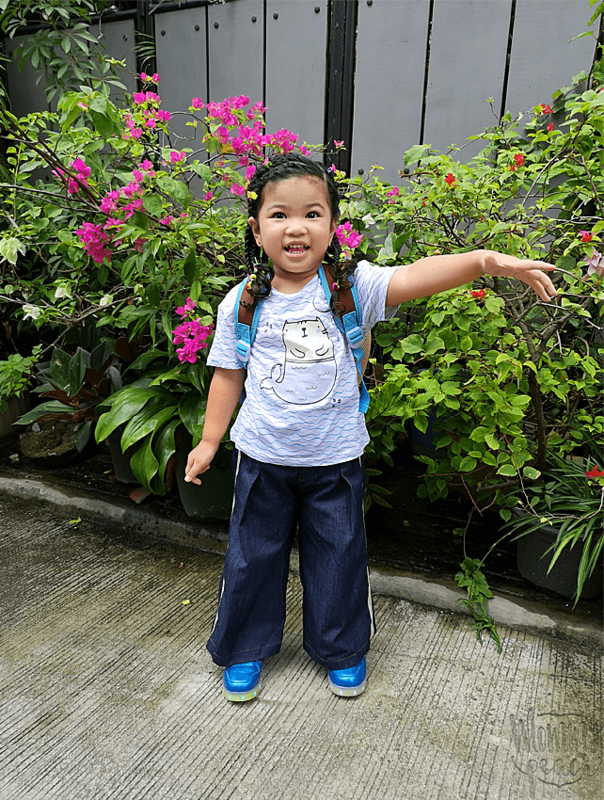 Well, It’s been, what, five months now since Twinkle started school last September. Let me share with you how it’s been. 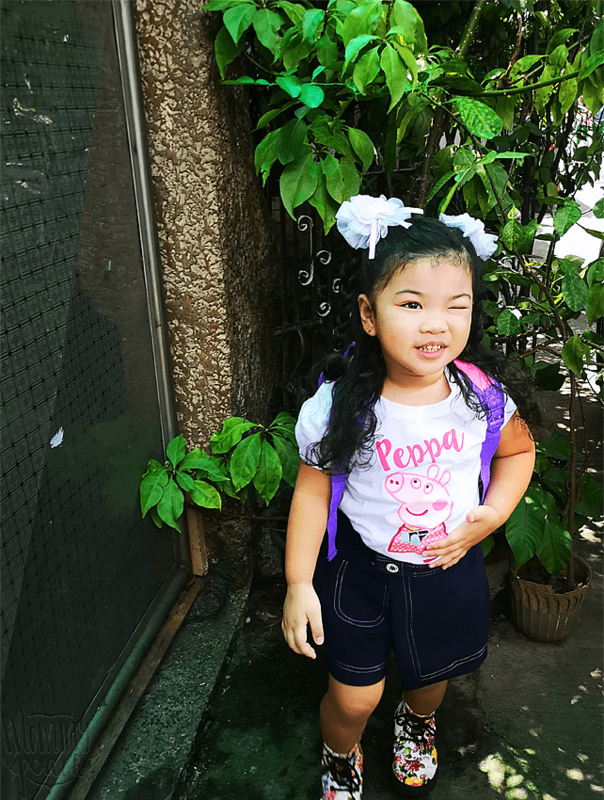 September was such a great month for Twinkle because she loved going to school. 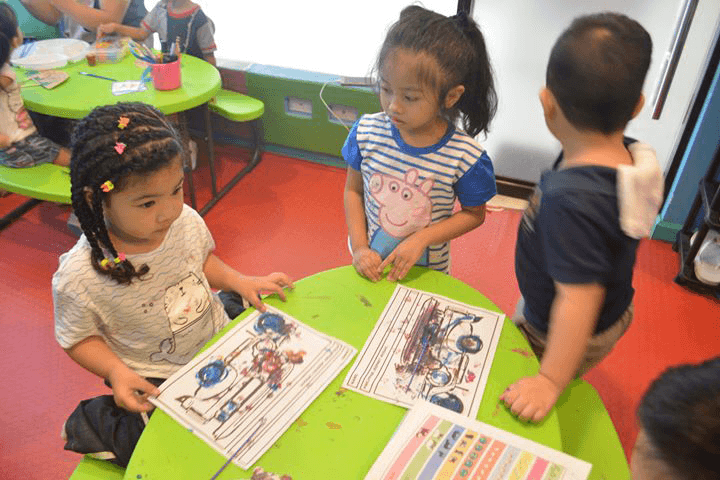 She loves learning new things and she loves playing with her classmates. She would be proud whenever she comes home with a star on her hand. Come October, she started having separation anxiety. Whenever she knows it’s school time she would ask “Mommy, Angel Beats? ?” and when I reply with a yes. She’d start crying and refuse to take a bath. She would also start tantrums and tell us that she doesn’t want to go to school. Going to school became a constant battle for us. With a little coaxing here and there, sometimes she’d be eager to go but most of the time there are lots of crying. We know it’s just separation anxiety because once, she gets there and she gets to play with her classmates, she would stop crying. After the school Halloween Party, the school started renovations for the sem break. 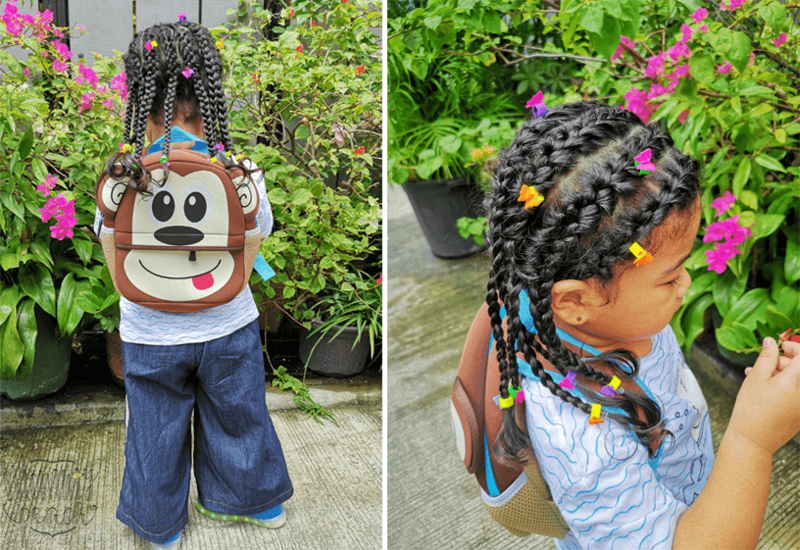 We figured it was a good time to let Twinkle rest and make her forget her sepanx in going to school. Since Angel Beats’ system is very lenient that classes are enrolled on a monthly basis, we decided not to enroll her for November and December. December being a very busy month for us because peanutbutter♥‘s sister and her family goes home for a vacay and we have vacation and lakwatsa here and there. So January for Twinkle is a fresh start. She still has memories of her sepanx days last year but she’s a bit more mature now. What I do is I talk to her and tell her that I’ll just be outside waiting for her and I’ll be there when she comes out later. I also tell her to show me her stars after school. I think that kinds of reassure her that I’m not leaving her at school. Now, she really goes to school happy. Her new schedule is M-W-F but she’s still under Teacher Jove. What’s in the photo above are some of the activities they did since school started last January 7, 2019. We are having a great start of the year so far. How’s your January doing, mommies? Omg she is so cute. I love her little outfits!